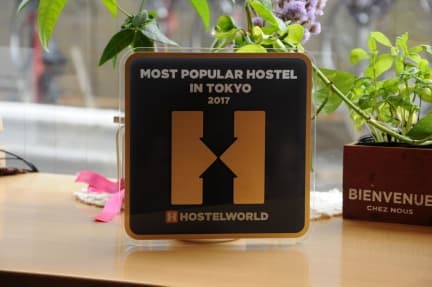 Anne Hostel Yokozuna, Tokio, Japonia : Rezerwuj teraz! We are conveniently located in Ryogoku, well known as 'Sumo town'. JR and Toei Ryogoku station is only 3 minutes walk, and It is only minutes ride away to Akihabara, Ueno and Asakusa. Our beds are comfortable 'yokozuna-sized' bed, which is a lot wider than regular bank beds. Individual curtain, reading light, power outlet and security locker are available. Shower room with shampoo&conditioner available 24hrs, Iron & iron board available to rent at reception, towel/ear plug/adapter/charger/laundry detergent available to rent or purchase at reception. Fully equipped kitchen with free coffee/tea, big lounge room with big flat TV where you can play Wii or Play station with other travelers! 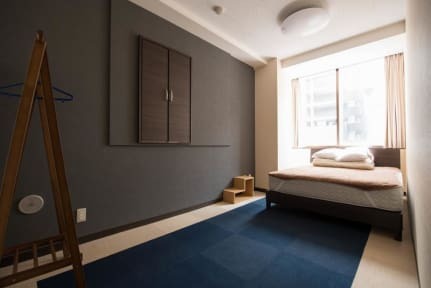 Anne Hostel Yokozuna is within easy walking distance of restaurants, convenience stores, money exchange, grocery stores, 100yen shop, post office, liquor stores, Karaoke, bars and everything you need during your stay. Sumida Hokusai Museum (Ukiyo-e) and Ryogoku Edo NOREN are only 5 minutes walk. and the rest reserved nights will be cancelled. For group booking, please contact us directly. We DO NOT accept any reservations with more than 8 guests via Hostelworld. Different cancellation policy and booking policy will apply to a group reservation.